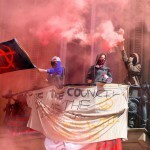 Housing activists occupied the prime property – next to Harrods – to build support for the Kill the Housing Bill demonstration on Sunday 13 March, which saw up to 10,000 people take to the streets in central London. 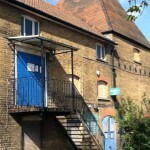 Radical Housing Network, a network of grassroots housing campaigns, used the empty building – known as “Our House” – to host a community-led week-long programme of workshops, talks and performance in response to London’s housing crisis and its effect on communities. 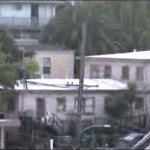 The week of action was reported by the Independent newspaper among others. 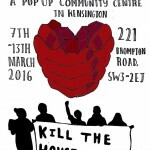 Welcome to the OUR HOUSE Pop Up Community Centre! We have occupied a building in the heart of the most expensive part of London to host a community-led occupation in protest at the Tories Housing Bill, the housing crisis and to highlight the insanity of empty properties when thousands are homeless. This was a pop-up shop — now it’s a pop-up squat. 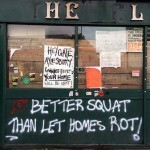 We have squatted a house! What happened? We have opened the doors to the old Hauptzollamt in the Sonnenstraße 85 in Münster, Germany on the second weekend of October [Oct 9] for us and everybody! The building has been empty for several years. It costs, according to Westfälische Nachrichten (local newspaper), „several million.“ This is too expensive for us. But we would not give a single Euro for it either. 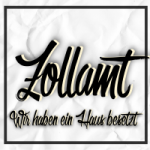 We want the Zollamt to be a non-commercial space, for meetings, discussions and workshops, for art and music, a place for neighbourhood community and joint organisation. In short, this space is going to be transformed into a social centre – a space where everyone feels welcome. Application for Interim Possesion by Surrey County Council rejected! 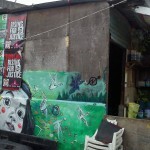 Four Seasons Community Co-operative is an off-shoot group of (the recently evicted) Runnymede Eco Village residents aka. Diggers2012 , Love Activists and Action Factory Collective. 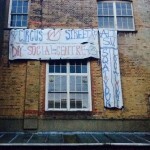 The Elephant & Castle social centre was evicted at 4am today. 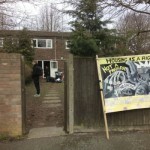 High Court bailiffs and cops kicked out about 20 squatters (some “in just their underwear” according to the gutter press). 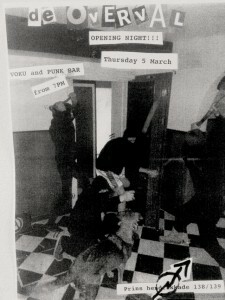 The pub was squatted a month ago and has now been made an asset of community value so any change of use will need to be granted planning permission. Sweets Way Resists responds to a predictably unfair legal decision and gets on with fighting social cleansing. Today [March30] one of the most long-standing principles of British law was reinforced: that private property rights hold greater importance than human rights. A Barnet County Court judge decided to rule against our protest and social centre occupation on the Sweets Way estate, in favour of social cleansing property firm, Annington, even though agreeing with most of our arguments in the courtroom. Come by to eat, drink, listen to music, play, chat, think, discuss, dance, laugh, organise, create, and resist the commercialised spaces of the inner city!